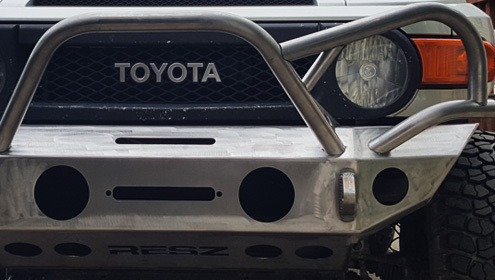 Resz Fabrication was founded based on a passion for offroading. We learned quickly that factory parts don’t last long under extreme conditions. That’s why we build some of the toughest offroad parts on the market today. Whether it’s a steel winch bumper to get you out of a jam, heavy duty adjustable links to get those pinions set, or skid plates to prevent damage to sensitive parts underneath your rig; we got you covered! Although we mainly specialize in Jeeps and Toyotas, we’d be glad to work on other offroad vehicles.